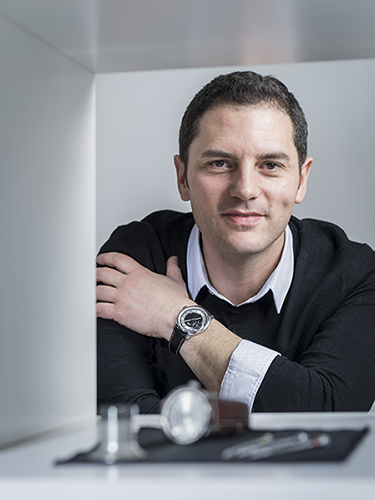 It all starts in 2015, when Thierry Clottu, an engineer in microtechnology and a watch addict, starts creating his own wristwatch design. Armed with a heavy experience in the field, after working for more than 10 years in product development for many brands, he dares to take up this personal challenge. He then dedicates entirely to this project and overcomes one by one all the steps that lead to the finalisation of this work. After more than a year of research and development, the MECHANICA ME1A sees his first functional prototype in 2016. The model is elegant, sober, modern, timeless with a touch of sport chic. 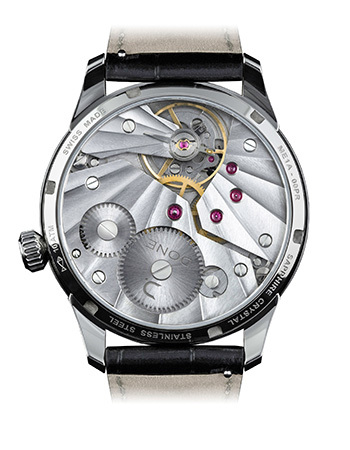 It is equipped with a handwinding mechanical caliber (ETA 6497-1) and decorated by hand with Geneva stripes. Soon after the first presentations of the newly born watch, the comments are admirative and really laudatory. 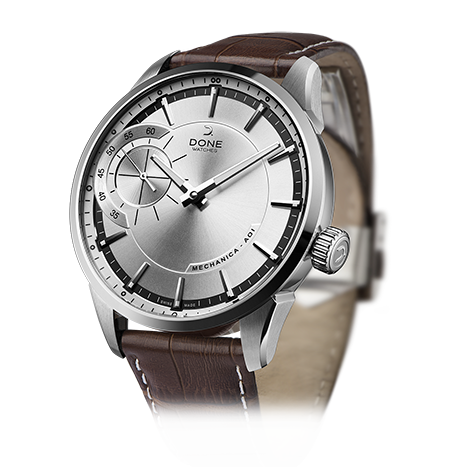 Thierry Clottu then decides to not just stick to one personnal model but to go further with it and to propose a « Swiss Made » watch of excellent quality and at a really affordable price. 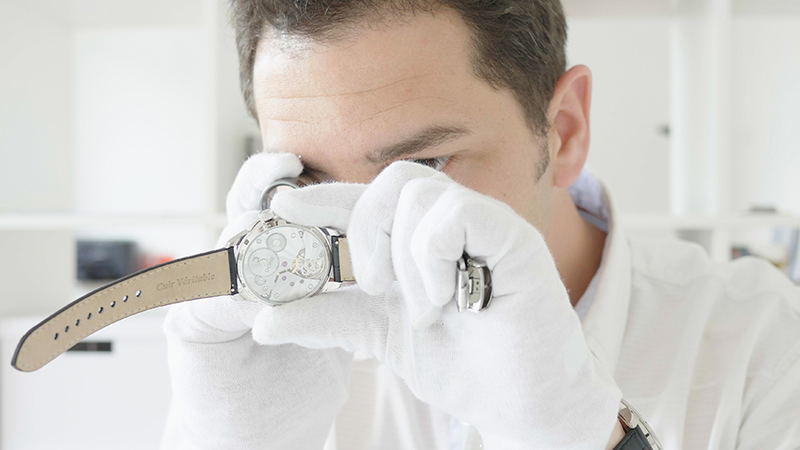 How to find a name that best defines the image that the founder wants to give to his watches, to his philosophy ? The process may look simple but is in fact terribly difficult. It is while discussing about his watches around him that he realizes that his project is for him more than a dream, it is an accomplishment. The need to be able to say one day with pride, i realised my dream, i made it to the end « it’s done ». That is how the name « Done » came out of the dark for the first time. 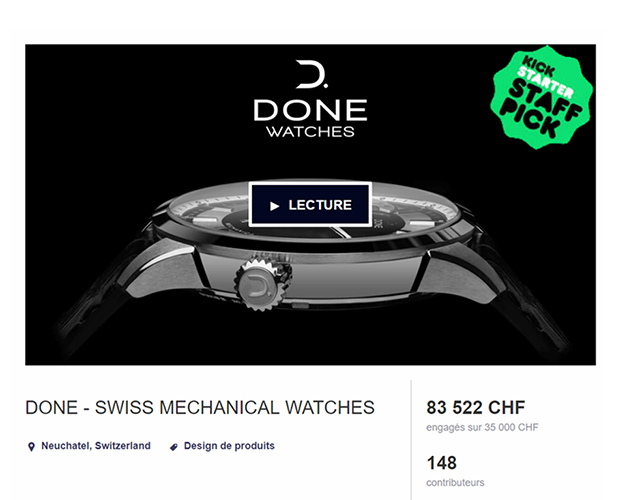 After many researchs, the crowdfunding seems to be the most obvious choice. In fact, it is the best alternative for the development of a product free of any external constraints and in sync with the future customers. After an excellent and convincing campaign on Kickstarter in July 2016, Thierry Clottu reunites the necessary funds to develop his project and launch his new watch brand. After several months monitoring the suppliers, the first 180 watches, spread over a collection of 6 different models, are delivered to 26 countries all around the world, highlighting a new starting point to this adventure, the contact with the clients. Founded in 2016, DONE WATCHES opens a new path among independant watch brands. Differing from the traditional ditribution methods, it has the will to serve its customers live and without any other intermediary, to be close to his ambassadors and to be able to offer a selling price adapted to each. 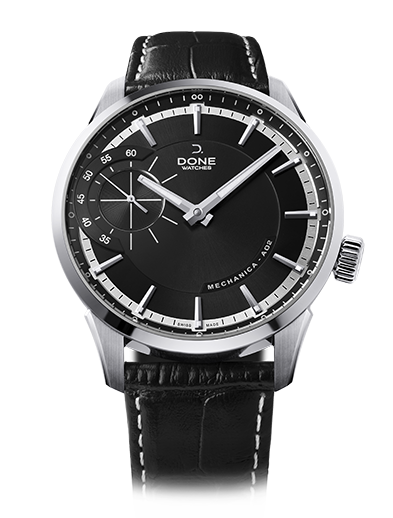 DONE WATCHES has the ambitious will to reconcile the mechanical swiss watch, an attractive design and an excellent value for money.